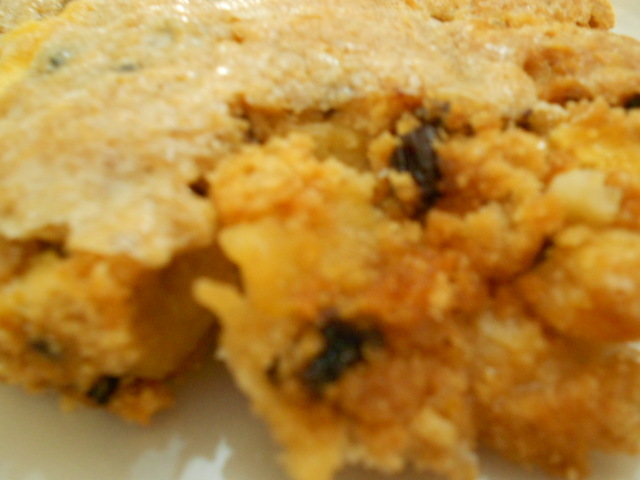 There must be so many differing recipes for this cake but a friend of mine brought her version in for her birthday cake and it was so light and full of fruit that I nagged her for the recipe. A very popular cake to serve instead of a pudding, which does not last very long in our house nor for that matter did it last in the staffroom on my friend’s birthday. I am sure an airtight tin and a good hiding place might help. I am suppose to use a loose bottom cake tin but as I don’t have one I used my Christmas square tin and greased it really well. 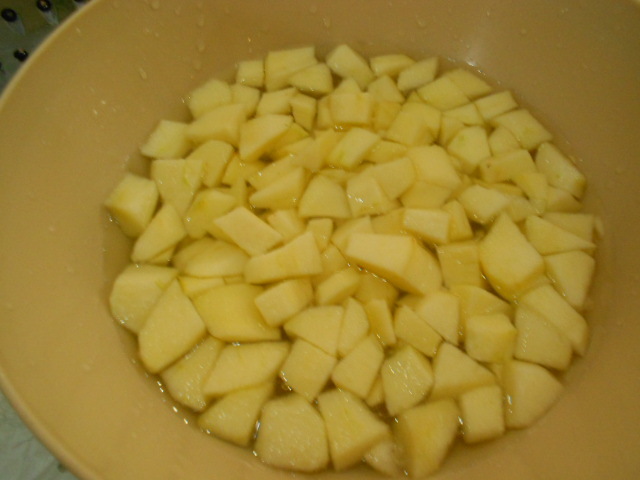 I like to prepare my ingredients before I start, so I chopped all my apples into chunks and left them in a bowl of water into which I had squeezed the lemon. 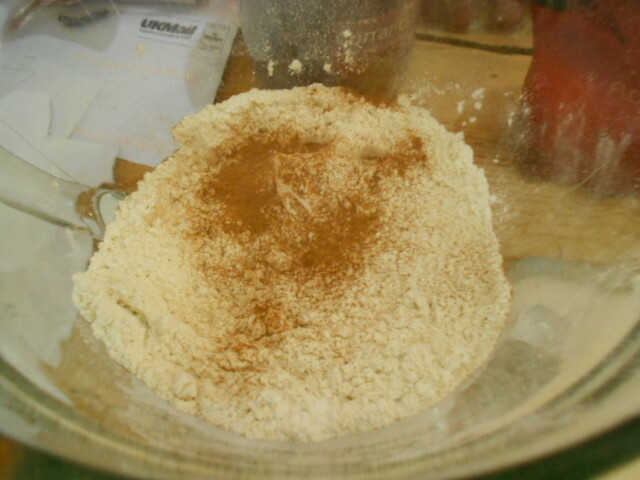 Mix the flour, baking powder and cinnamon together. Beat the eggs really well so they give the cake the light airy feel that was so good. 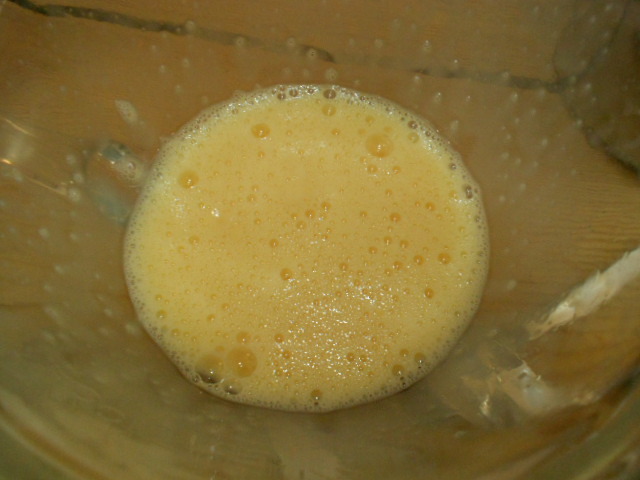 Now it is time to mix the eggs into the mixture. 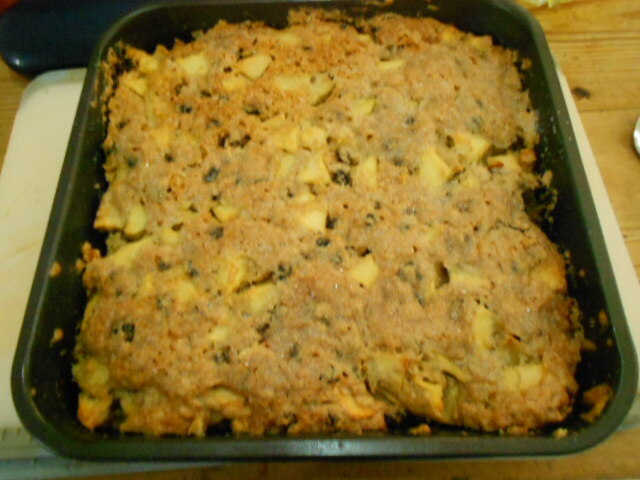 With a large spoon stir the mixture well so that it now resembles a dough, clingy and thick. 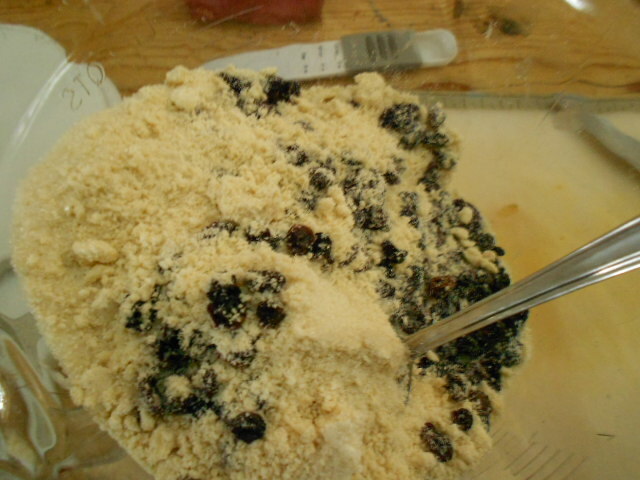 Make sure you get to the very bottom of the bowl and mix all the dry ingredients in well. 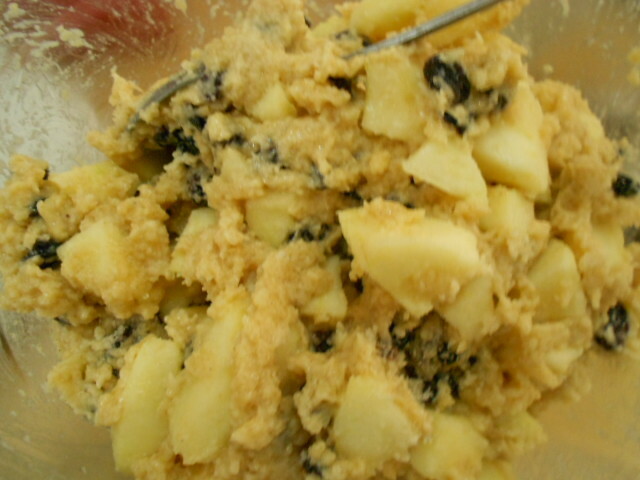 Turn the mixture into the tin and smooth the top out. 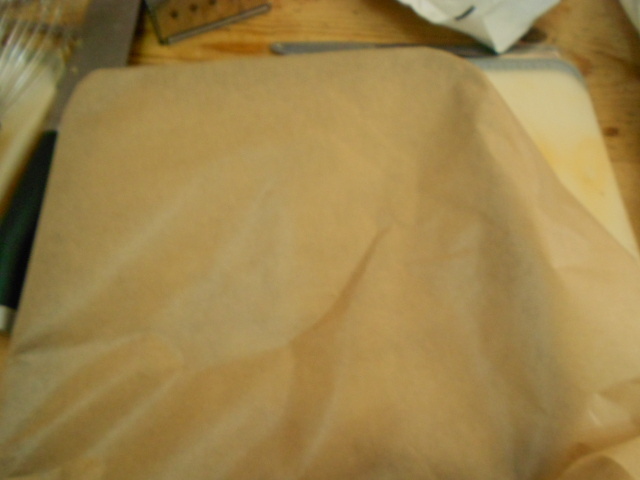 Sprinkle with more sugar before covering lightly with greaseproof paper. Cook the cake in a low heat oven 160C (325F) for about an 1 1/4 hours if the top is not completely golden remove the greaseproof paper and finish off for about 10 mins. 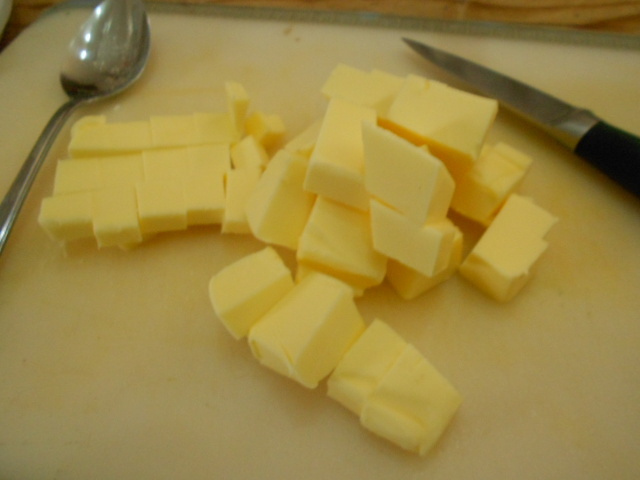 Remove from the oven and leave for about 10 minutes before turning out. Serve with a dollop of Devon Clotted Cream if you can get it or double cream goes wonderfully with this. My boys quite like ice-cream especially if I serve it still warm. Enjoy this and let me know what you think.